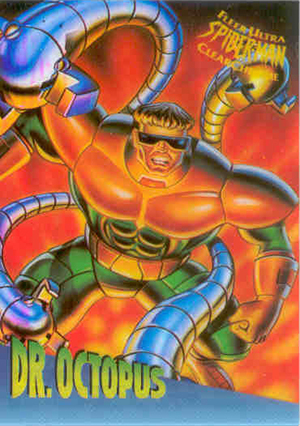 1995 Fleer Ultra Spider-Man trading cards bring a fine-art feel and higher-end appeal to one of the most popular characters in comic book history. Featuring lots of painted artwork and several insert sets, it follows in the footsteps of 1994 Fleer Ultra X-Men. 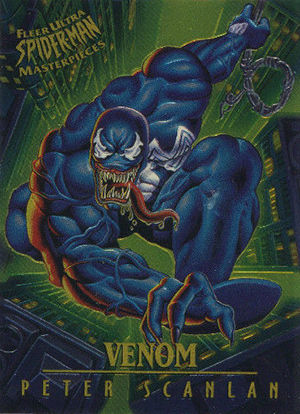 The 1995 Fleer Ultra Spider-Man base set is large for a comic set, coming in at 150 cards. 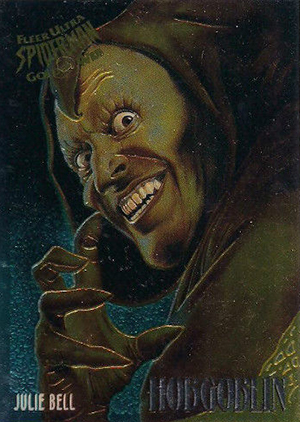 Among those creating artwork for the set are Greg and Tim Hildebrandt, Luis Royo and Mark Texeira. 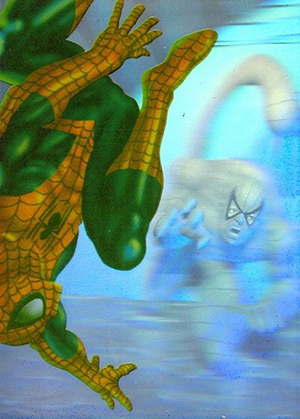 Nearly alf of the base set covers the characters of Spider-Man's world. Other subsets are dedicated to villains Venom and Carnage, team-ups, and milestones. 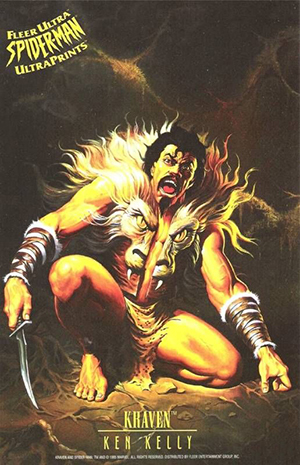 The full-bleed images leave the focus on the artwork. Gold foil highlights are used for the name and Fleer Ultra logo. All of the base cards except the checklist (#150) have a Gold Foil Signature parallel. These are inserted one per pack. 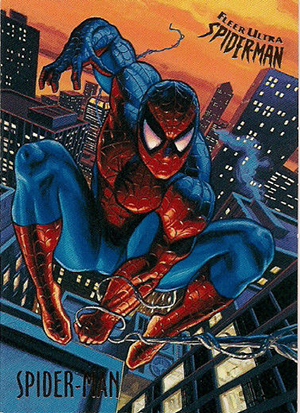 1995 Fleer Ultra Spider-Man has several other insert sets as well. ClearChrome, Masterpieces and Golden Web all focus on different types of chromium card stock. HoloBlast cards have a 3-D hologram in the background and have a more traditional image on top. None of these inserts are too tough to find. HoloBlast cards are the toughest, landing 1:9 packs. Every sealed case came with a set of ten UltraPrint cards. These are over-sized, measuring 6/5" by 10". 10 cards. Set inserted as a case topper. Over-sized cards measure 6.5" by 10". Does any one know about what the complete ’95 Gold foil signature set of Spider-man is worth. I can’t find any complete sets for sale any where. Can somebody help me?